A Delhi based company, Purecon solution is manufactured by Purecon lenses Pvt. Ltd. They provide high quality of lens solution in the market. 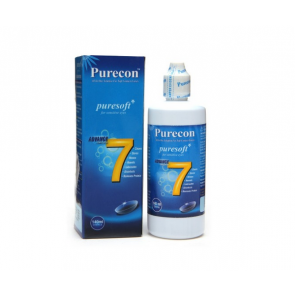 This solution is extensively used to clean the contact lenses safely. This solution works very well on high value lenses and cleans smudges and stains very easily. These are very durable and easy to handle solutions. This is available at mailmylens. You can buy the same along with your contact lenses.